Brighten a room with this Light Blaster™ design, which uses 4 powerful bulbs to produce a light output comparable to 500 watts of incandescent lighting. The Meridian Light Blaster™ Torchiere from Possini Euro Design uses four powerful CFL bulbs to produce a light output comparable to 500 watts of incandescent; CFL lighting allows you to have comparable light output with 75% energy savings! The generous light output of this floor lamp is great for general ambient light as well as reading, crafts and other tasks. The energy-efficient torchiere comes in a sleek oil-rubbed bronze finish and a multi-level switch for more lighting control. 72" high overall. Round glass is 18 1/2" wide. Base footprint is 12" wide. Weighs 25.5 lbs. Includes four 23 watt GU24 CFL bulbs. Light output is comparable to 500 watts, but uses only 92 watts. Multi-level switch turns on 1 bulb, 3 bulbs or 4 bulbs. Light Blaster™ energy efficient floor lamp design from the Possini Euro Design torchiere lamp collection. 75-percent energy savings over incandescent bulbs. Oil-rubbed bronze finish. Metal construction. White glass. Stylish design and a expectation of strong lighting. I have another one of these - the best floor lamp I have ever seen. Strong bright light but adjustable. Elegant, simple design that mixes well with various styles. Beautiful, modern and clean design plus lots of light for my sewing studio! We need much brighter lighting so I was thrilled to find something labelled "Light Blaster". Can't wait for it to be delivered! Need bright lighting for my dark apartment living room. We purchased two and love the light they give so we are buying two more. Because it was 500 watts of light. Seems to have GREAT light output. That is really a high priority over here. And I love the various levels of light control - not just on/off switch. Plus, it’s basiccally attractive. This is the second lamp I buy as I bought one two years ago and am very happy with it. Good classic design and very bright light. Perfect for large rooms. Love the amount of light. 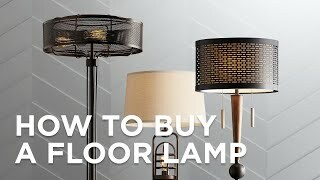 I need a floor lamp that provides a great deal of light. I purchased 3 of these lamps from you in recent years and want to add 2 more to our home at this time. This lamp is high quality construction, looks great and provides excellent lighting. It is also perfect for many different settings. It is a perfect replacement for an existing malfunctioning old torch lamp. The glass broke, how do I get a replacement glass? Does this light have a dimmer? BEST ANSWER: No, it does not have a dimmer. However, it has three light bulbs and the switch lets one select either one, two, or three bulbs at a time. So, essentially, it has a three-step discreet “dimmer.” I can always find the light level I want at a given time. This is a very nice lamp. No You must use the three settings on the pole switch. Goes from very soft to beautifully bright light for reading/needlework. Well, it has settings 1, 2 and 3. The first is just one bulb (like having a dimmer), second is two, third is four. Yes, the light has three levels of light (low, medium, full). It works much like a tri-light bulb works. It has 3 settings: Low, Medium and High. No dimmer. Is the base weighted with concrete to keep it stable? We have a lamp with a concrete weighted base and the concrete has weakened over time and is breaking up making the lamp unstable and useless. BEST ANSWER: The base is weighted and the lamp has an overall weight of 25.50 pounds. Is it weighted with a material that will break apart over time? It is designed not to break over time. It does seem to be some form of rough concrete as the base. We have it tucked into a corner behind our sofa and never gets moved so no issues. It provides good light. What is the temperature of the included bulbs? Can it use LED bulbs? BEST ANSWER: The included bulbs are 2700K and you may use LED bulbs. BEST ANSWER: No, the bulbs are CFL light bulbs. They do not produce an excessive amount of heat. It is okay for them to touch the glass due to the limited space. Nothing happens. Love the product. Had it for 1 year. Do the bulbs make a humming noise when it is on? We ordered another lamp with GU24 CFL bulbs and there was a humming noise. BEST ANSWER: Hello - under normal conditions you shouldn’t hear any buzz or hum from the CFL bulbs that are included. No buzz or humm on ours. Can a 100 watt GU24 CFL bulb be used in this lamp? BEST ANSWER: Each 23 watt CFL bulb that comes with this lamp is equivalent to over 100 watts of output. This lamp is not designed to increase the wattage of the CFL. BEST ANSWER: This light provides 7500 lumens which is a comparison to 500 watt incandescent. Do You have a lamp with numbers E124037-1.It uses a watt,type J bulb?300watts is the max. It looks like the same lamp. What is deceiving from the photo is how wide the actual glass shade portion is and how heavy the item is. I received three 100w fluorescent bulbs (uses 23 watts and provides 1600 lumens--each) for the lamp which provides three levels of lighting. Each bulb has two prongs, so they are special bulbs, but they provide plenty of light! The box says GU24 SpiralMax Energy Saving 2700K. This is my second Possini lamp, and they are made very well and more sturdy than other pole lamps. Definitely worth it. Is the lamp top-heavy? Would it be easy for a toddler to knock over, or is the weight in the base? Thanks! 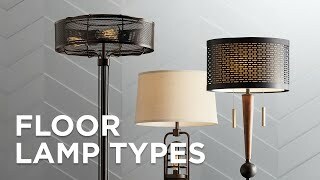 BEST ANSWER: Hi - this design, like most floor lamps, has a weighted bottom for stability. In fact, all of our lamps pass a Tilt Test when they are being designed. This test ensures that they are stable, well-balanced, and will not tip over under normal conditions. This lamp may be top heavy when placed on carpeting. Mine feels that way, even though the pole and the base are extremely heavy and made very well. Also, because of the diameter of the glass top, the base sits at least 4" from the wall. We have a toddler and the heavy base keeps the lamp in place. We have not had any tipping incidents yet but we also keep the lamp in a corner of the room. I believe this lamp is very sturdy. You need Mighty Mouse to knock it down. It is also very attractive. I would not trust a toddler around this lamp. It is a weighted base, but can be easily pushed over. The GU24 bulbs come in a wide variety of lengths and widths. 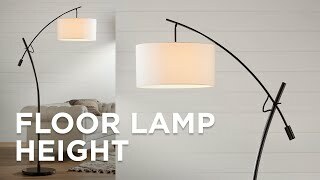 Can I get the exact length and width of the bulb that comes with this lamp? I just checked and there are four, not three GU24 bulbs. The bulbs are approximately 5" tall (not including prongs) and 3" wide. Each gives off 1600 lumens and uses 23w of energy. 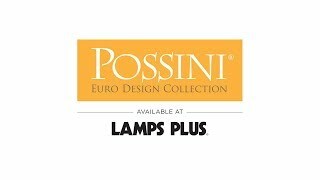 This is for the Possini Euro Design Meridian Light Blaster Torchiere Lamp. What exact light bulb does it come with? What are the bulbs dimensions? BEST ANSWER: It is a GU24 base 26 watt Compact Fluorescent Bulb. Click on the image below for the exact bulb the fixture comes with as well as additional bulb details. BEST ANSWER: The lamp weighs 25.5 lbs. does this use standard A19 base bulbs? BEST ANSWER: This lamp uses GU24 base bulbs, which have a different base from standard base bulbs. If you would like an example of a compatible A19 style bulb with a GU24 base, you can find one attached below. The GU24 bulb comes in a wide variety of lengths and diameters. What is the length and diameter of the bulb that comes with the lamp? We have a dark living room, so we needed a strong bright light; but wanted something attractive as well. This fit the bill perfectly. We have a lovely home, but some rooms can be rather dimly lighted, even during the daytime. These lamps are so amazing. They really light up even a large room. We use ours in the Music room, home office, sitting room, and even in the great room. We had what we thought was a powerful halogen torchiere, but we don't want to use it anymore because of the dangers associated with halogen lamps. These light blasters are the answer. We highly recommend these lamps. Love it. Best feature - which I was not aware of until I put the lamp together - is that that the on/off switch is located at waist level. A big improvement over my previous lamp where the on/off switch was 6 feet above the floor. I can sit next to lamp and turn it off - no need to stand and stretch. Great amount of light. If you or others in home have vision problems and need more light. This is the lamp! This is a nice lamp that puts out a lot of light. I'm not to crazy about the kind of bulbs that are used and it is a bit top heavy. It is very attractive and looks nice in the den. Ordered one and ordered 2 more! We have very high ceiling in our living room, and these two lights compliment each other and give us the indirect light we wanted. Loving this lamp. Did not actually put it together, so I cannot comment on that end of it. However, I’m benefiting hugely from this wonderful lamp. The coloring goes perfectly in the room I gave it in. Love the light this lamp gives off - especially when all 4 bulbs are lit. The best features: on/off switch on the light pole, as opposed to on the floor or a pull chain. Also - love the quality of 3 different levels of light - can illuminate 1, 2 or all 4 bulbs. The fact that it uses energy-saving LED bulbs is a plus. Really pleased with this lamp. It has taken me a long time to find all of the specifics I was looking for - and this is definitely it!! The coolest lamp I've ever bought!!! This lamp Replaced a 300 W halogen floor lamp its even brighter! I love its versatility, bright to dim/mood lighting. Great lamp, I would definitely recommend this. The product arrived in good condition and arrived within the days listed on the shipping email. This lamp is exactly what I needed. It was delivered promptly and I was able to put it together myself. Delivery was prompt, in very good condition, but instructions for assembly were difficult to see and need to be clearer. Needed to call customer service. Excellent lighting, Solid well made easy to assemble. Loved it so much I bought two! The lamp was very well packaged, and arrived within a week. Very satisfied. The company is great. They have a 90 day price match and the lamp went on sale and I got a $100 credit - no questions asked. Thank you. If I had room, I would have bought another one. This lamp is sturdy, attractive, and provides excellent lighting. I bought 2 for a very large room with no overhead lighting and 1 for a standard size room. Very good quality. I am so happy with this purchase. There is nothing to complain about because the lamp is everything I wanted. I feel I got what I paid for and it is a bright light and compliments my living room. I LOVE THIS LAMP. It worked out super for what I needed! Gives lots of light and can be dimmer if needed. We have a dark living room with high ceilings. This lamp floods the room in light if turned up on the highest setting but does not over power when on the lowest setting for evening time. Great lamp. Substantial and has three light levels. Highly recommended. This contemporary metal floor lamp has refined look and feel that lends itself to complementing a modern space. With a stylish Pink Orchid textured polyester shadethis slim-profile floor lamp design offers a chic look for seating areas and more. This sleekcontemporary floor lamp is paired with a Pink Orchid textured polyester shade for a stylish look. The two different heights of the shades add beautiful dimension to this gorgeous metal floor lamp from Van Teal.